Six months industrial training is the turning point for every student who has undergone Btech, BCA, MCA, & IT course. In this age of computer it is nearly impossible to get JOB with just degree or diploma. One must have deep knowledge at least in one of the relevant technologies that lies under networking, programming, internet technologies & software etc.. 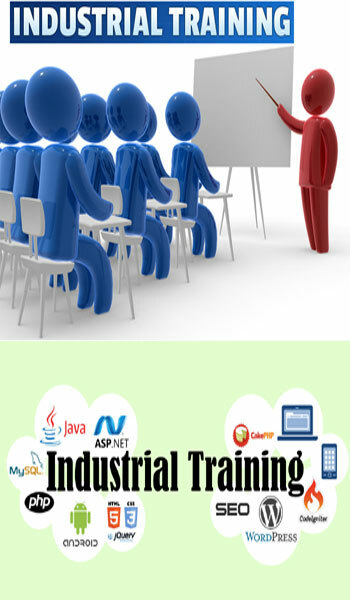 So for aspirants it is very important to choose the right technology module which can be considered as career option and the most important thing which one must take in very serious consideration that is choosing the right organization from where candidate should take training in six months industrial training in Bareilly. Leader in its class to provide best industrial training to the students who want to undergo 4 weeks, 6 weeks ,2 months, summer internship & 6 months industrial training. Along with technical training we have various result deriven techniques to patronize the candidates for interview with our personality development training modules that are complimentary with all technical training modules. And such modules do not help only in getting good JOB but also this reflect in their real life. As this is the matter of student's career therefore only professional trainer who have good industrial knowledge can train the students well with the core concepts of technology as per the industry's man power requirements. he well-experienced staff in CBitss are always ready to take the students to the zenith of IT industry with their world class teaching techniques. However, in order to achieve these goals it is paramount for students to avail themselves to this yielding opportunity. Convincingly, CBitss believes in making candidates for feeding the nation and world at large not just making the arrangements for today only.. Those who are aspirants to become independent IT professionals, I strongly recommend them to get career counselling from our representatives.